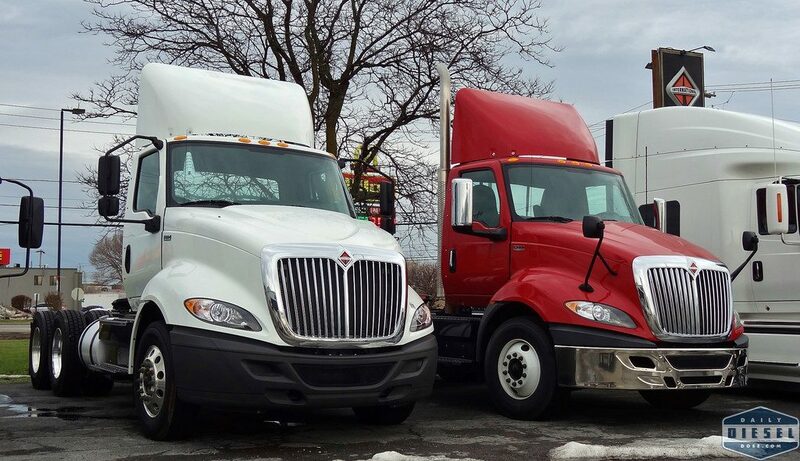 Here we see a pair of RH trucks, the latest regional haul offering by International Trucks. The RH replaces the Transtar line of trucks with what used to be the International Prostar. If your confused don’t feel bad. 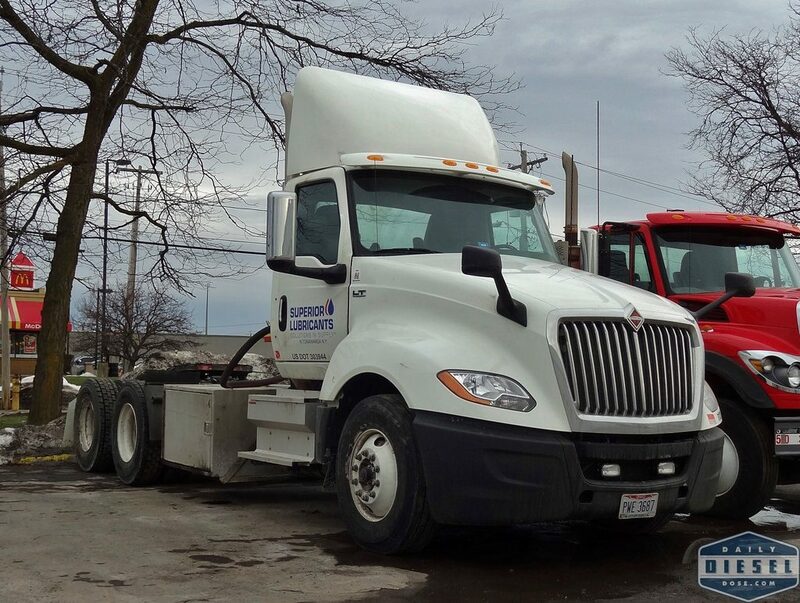 The Prostar name was dropped in favor of the LT, as seen below in daycab form. The LT is powered by the new International built A26 or the Cummins x15. Most new trucks are flashing with plenty of accent chrome and aluminum wheels but this Western Star 4700 is nearly as plain as they come with steel rims all around and what even looks to be a steel box. Tastefully simple. 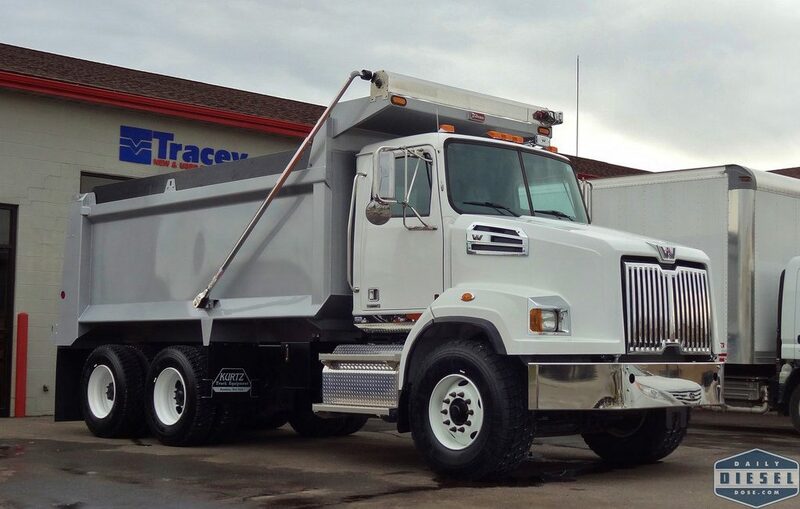 This entry was posted in At the Dealer and tagged international lt, international rt, western star 4700. Bookmark the permalink.